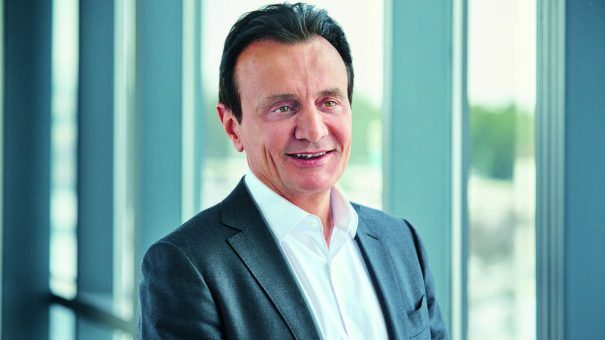 AstraZeneca’s Pascal Soriot has been among the first pharmaceutical CEOs to respond to the election of Donald Trump, saying it looks likely that ‘Obamacare’ will be repealed, as the new president-elect has promised. Officially known as the Affordable Care Act (ACA), the legislation was one of President Obama’s proudest achievements, having brought millions of people in to health insurance for the first time, and cutting in half those without any policy since it was introduced in 2010. But Republicans have always vehemently opposed the legislation, having tried to overturn in Congress and with legal challenges, but always unsuccessfully until now. While there have been many beneficiaries of the Obamacare, many voters also opposed it, as it raised insurance premiums for some people who already had insurance. The industry has done well out of Obamacare, as more people with insurance has meant more prescription drug spending, with insurers taking on a greater burden of the cost from individuals. A study by RAND this year found that among those who gained private insurance, there was a 28% increase in prescriptions filled and a 29% reduction in their out-of-pocket spending. Those who gained Medicare saw even bigger increases, 79% more prescriptions and a 58% reduction in their costs. Journalists eager to hear pharma’s verdict on Trump’s victory quizzed Pascal Soriot during the company’s Q3 results call earlier today. Soriot was reluctant to make much comment, saying he wanted to avoid speculation at this early stage, but said there was a good probability that “ACA will be repealed or substantially modified” but refused to anticipate what effect that would have on the pharma industry. AstraZeneca is headquartered in the UK, which saw its own seisimic political upheaval in June when it voted to leave the European Union. Asked whether such ‘black swan’ events such as the Trump victory and Brexit could present opportunities for the industry, Soriot agreed there were both challenges and opportunities. 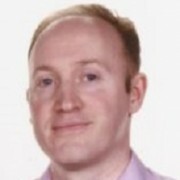 Calling himself ‘an optimist’ he said this might include countries “coming up with tax policies to incentivise companies to invest in their countries” – something which could apply to both the US and the UK. Trump has proposed cutting the US corporate tax rate on revenues earned abroad from the current 35% to just 10 per cent. This won’t help UK-domiciled AstraZeneca, but will be a huge boon for US-headquartered firms like Pfizer, which has billions in offshore cash. Brexit and Trump’s win are both seen as victories for populist politics, driven by white working class voters who feel left behind by globalisation and liberal economics. Both countries look set to significantly tighten immigration rules, something which many business leaders say could damage their economies. He said AstraZeneca wanted to employ the best scientists at its R&D centres (in Sweden, the UK and US) and said ‘any impediment’ to the free trade of goods and free movement of people would be negative to the world and the global economy. Much like globalisation, Donald Trump is expected to find that repealing Obamacare is more difficult than hoped. Experts say Democrats could block such a move in the Senate with a filibuster, even though the Republicans have retained overall control of Congress. Republicans could do away with the filibuster, but Senate Majority Leader Mitch McConnell has opposed this. A partial repeal is possible, however Republicans wouldn’t be able to remove the legislation underpinning the Obamacare, including regulations responsible for sharp rise in insurance premiums, which increased on average by 7% in 2015 and 11% this year. Independent analysts say Trump’s own alternative to Obamacare is badly flawed, and would leave 21 million people uninsured. It would also allow insurance companies to return to the previous practice of refusing individuals insurance because of existing health conditions. This would create huge problems for ordinary people, the Trump administration, and have a knock-on effect on pharma. Finally, pharma and biotech stocks rallied when it became clear that Trump was the victor and not Hillary Clinton – as she had promised to target drug pricing. Nevertheless, Pascal Soriot echoed many of his pharma CEO peers when he said US pricing pressure would continue to mount in 2017.